As you correct your important records you will be confronted with a number of important considerations and choices regarding your new marriage. The following is designed to bring some of these matters to your attention. Disclaimer: The following is not intended to substitute for legal or other professional advice. For specific questions regarding the legal and financial implications of marriage you should seek the services of a professional financial advisor, tax preparer, or attorney. When you get married you and your spouse will need to determine if you want to keep your finances separate or combine them. Do you want to continue to hold your bank accounts individually or do you want to have joint accounts? Whenever you open a bank account or apply for credit you may be asked to choose between an individual and joint account. With a joint account both you and your spouse can make deposits and withdrawals from the account. This makes it easy for two people to contribute to a shared account in order to pay common bills. Assets placed into this type of account become the property of both owners. One drawback of a joint account is that either spouse's creditors can get a judgment for the assets in the event of a default. Individual accounts offer more feeling of financial independence and are easier to keep track of since only one person is making deposits and withdrawals from the account. Individual accounts also provide a better opportunity to establish your own credit rating. Since there are advantages to having both types of accounts, many couples settle on a compromise where they share a joint account for basic mutual expenses like household and living expenses and also each maintain separate accounts for their own personal expenses. An emergency fund will act as a cushion in case of temporary job loss or other unforeseen event. It is best to place this money into a highly liquid vehicle such as a savings or money market account so the money can be accessed quickly. A general guideline for a safety net minimum is three months worth of living expenses. Reserve some time with your spouse to review the assets and liabilities that each of you brings to the marriage and to go over the income, expenses, and savings that you have. You may want to set up a family budget to plan for everyday expenses such as food, housing, and insurance, as well as for future expenses such as a new baby, a home, and retirement. When you get married you do not lose your own personal credit history or assume your spouse’s credit rating. Your credit histories are not joined together* and one spouse’s credit rating does not necessarily affect the other. Every credit active consumer has her or his own separate credit history and the credit bureaus will maintain each of your individual histories just as before. * An exception to this might be a spouse's delinquent account turned over to a collection agency in a community property state where assets and liabilities are shared with your spouse. Some specialty firms offer what is called a combined, or joint, credit report. These reports are created by taking two individual credit histories and merging them into one report. While legitimate negative information is allowed to appear on your credit report for up to 7 years, you can often correct errors and outdated and missing information on your report by disputing an item and requesting an investigation by the credit bureau. Even if an investigation doesn’t resolve a dispute in your favor you can have the credit bureau include your version of the events in your file for future reports. To build strong credit ratings both of you should strive to pay your bills on time. With major purchases like large appliances, automobiles, and real estate both credit histories will often be considered. If either of you has trouble getting credit alone, try setting up a joint account with a line of credit to take advantage of your shared income and the stronger person's credit history. A joint account is usually reported to both individual's credit records (you can check this by ordering copies of your credit reports). Optimally, you should each have an account of your own to establish credit on an individual basis. Since your credit score is so important you should periodically check your credit reports for accuracy. You can get free reports once a year for free at www.annualcreditreport.com (otherwise the fee charged is around $8 a report). Note: You may be also be entitled to a free credit report if you have been declined credit, employment, or housing based on a report. The entity you applied for credit through must provide you with the name of the credit bureau they used to obtain your information. This is a good time to start a family records system. While everyone has their own way of doing this you’ll probably want to make files for bank and credit card statements, employment records, insurance policies, major purchases, education, personal identification, and tax records. This can simply be done with file folders, labels, and a box or filing cabinet. To save on space you can store some of your records electronically by scanning them to your hard drive and backup storage media (e.g., flash memory, DVD). While some records can be kept at home in a closet or filing cabinet you may want to keep your most important and irreplaceable documents in a fireproof safe or safe deposit box. You and your spouse will want to reevaluate your policies in light of your new situation. You may discover that in some areas you don't have enough coverage while in others you have overlapping, or duplicate coverage. Adjusting your insurance portfolio to meet your new needs might mean changing coverage limits or deductibles, putting one spouse on the other’s policy, canceling or adding policies. Below are some suggestions for three common types of insurance: auto, household, and health. Notify your agent of your new marital status. Being married will often qualify you for a discount on your premium (because most insurers believe that married people make safer drivers). Most policies require that all drivers in the household be declared, so you will need to modify your declarations to include your spouse. If each of you has a vehicle you will need to decide if you want to maintain your individual policies or pool them with one company. Putting both policies with the same company could get you a multi-vehicle discount. Go over the liability limits on the policies to make sure they offer adequate protection. You may be able to increase your policy limits for a nominal additional charge. If you rent a dwelling a renter’s insurance policy can cover your possessions from theft and other loss like fire and water damage and may offer some liability coverage. Couples may be eligible for joint coverage on a single policy, rather than having two separate policies. Make sure that both of you are a "named insured" on the policy and that there is adequate coverage for your combined household possessions and liability. Homeowners insurance covers a house and its contents and may cover liability. Depending on where you live you may also want to carry additional disaster coverage like earthquake and flood insurance, which is separate from homeowners insurance. You can also purchase an umbrella policy to protect you from liability claims that exceed your household or auto policy. Whether you rent or own your dwelling luxury items like expensive jewelry and artwork will have to be specifically mentioned in order to be covered. This means you should add your rings and any expensive wedding gifts to the policy. Make sure that your policy covers you in the event of fire and theft and that the liability coverage extends away from home. As part of carrying household insurance you should keep a keep a current list of your furnishings and belongings in a fireproof safe or safety deposit box. It is a good idea to include photographs or a videotape of your belongings as part of the record. The cost of health coverage for a married couple can be less than for two separate individuals. If one of you has health insurance you can usually add the other to the existing plan within a certain time period after your wedding date (usually 30 days). Otherwise you may have to wait until the annual enrollment period. If you're both covered by employer sponsored health plans you may be able to save some money by dropping one policy and adding one of you to the other's plan. To decide which plan to keep, compare the amount of coverage provided, the monthly premiums, deductibles and co-payments, the participating doctors and hospitals, and any additional coverage provided including dental, vision, and prescriptions. If you plan on having children make sure you also take a look at maternity benefits. If one of you is self-employed and is paying for an individual policy you may be able to save a considerable amount by joining the other's group plan. Before you drop a health insurance policy make sure that you can re-enroll if necessary. For instance, if your spouse changes jobs you may want to resume coverage under your old plan. You should also clarify whether there is a waiting period for receiving benefits, especially if you are planning a pregnancy or need treatment for a pre-existing condition. Your new marital status will probably affect the way that you save and invest. Here are some issues that may affect you. Traditional company pensions are usually funded entirely by the employer. The amount of benefits are based on the number of years of employment and the average salary earned. It’s often mandatory that the pension office be notified of any changes in personal, marital, or employment status. You may also be required to update the beneficiaries for the plan. If someone other than your spouse is designated as a beneficiary, your spouse may be required to sign a consent form waiving their rights to the benefit. Common plans that most medium and large employers offer are tax-deferred savings programs. This includes the popular 401(k). With this plan the employee does most of the funding. It lets you invest a large amount of pre-tax earnings into an account that isn’t taxed until retirement. This allows your money to grow more rapidly than a standard investment where the interest is subject to federal and state income taxes every year. 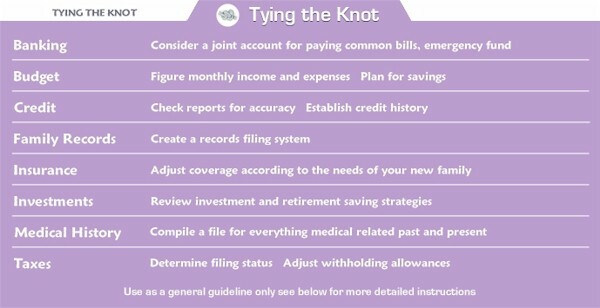 If you or your spouse has access to this type of plan you should figure out how to best utilize it. Many companies offer matching contributions such as 50 cents or more for each dollar an employee contributes up to a certain amount. If your budget dictates that you can only participate in one plan you should do some research in order to pick the best one. You can request performance data such as the historical rate of return and find out what the investment options are. Some plans let you invest in only one company’s stock while others may let you spread your risk among a variety of investments. IRAs are tax-advantaged retirement accounts that allow your assets to grow tax-free during the accumulation period. The traditional, or deductible IRA, lets you contribute pre-tax dollars into an account that isn't taxed until you begin making withdrawals from it after the stipulated retirement age. Withdrawals made after retirement are taxed at the ordinary income rate, however money taken out before retirement is subject to penalties. Contributions to a Roth IRA are not deductible but withdrawals made after retirement are tax-free. Another advantage of a Roth is that it will allow you to withdraw up to the principal amount at any time without penalty, which can come in handy for emergencies or for the down payment on a house. Depending on your financial institution IRA money can often be put to work in a wide variety of investments including CD's, mutual funds, and bonds. After marriage, these investments should be reevaluated and rebalanced if necessary according to your new combined portfolio. If you or your spouse participates in another tax-deferred plan such as a 401k some of your IRA contributions may not be deductible. The Social Security Administration offers retirement benefits based on the average earnings over one's work history. A spouse of a retiree can also qualify for benefits. If you are over 25 years of age you should be automatically receiving an updated annual Social Security statement every year about three months before your birthday. If not, you can request one at any time. The statement will show your earnings record and provide an estimate of the benefits you and your family may be eligible to receive. You and your spouse should check your statements each year for errors and missing information because the SSA does not have an obligation to correct errors that are over three years old. You may want to consult with an attorney to familiarize yourself with the various forms of co-ownership and to structure the ownership of combined assets such as savings, securities, and real estate. If you are working with a financial advisor or broker you should notify them of your new marital status and any changes in your financial standing and investment objectives. You may want to readjust your portfolio according to you and your spouse’s combined holdings. This goes along with your family records system. As soon as you get married you should compile a complete medical history for your new family. This should include any allergies or reactions to medications, dental records, doctors visits and surgeries, inoculation records, a list of your health care providers, prescriptions, past and present illnesses, and any reappearing family illnesses. You may want to keep your health insurance related documents like policies and claim records in this file. If you heard that getting married would give you an instant tax break, that's not exactly true. In some cases getting married does result in a marriage bonus for a couple, but the progressive tax tables mean that about half of all couples will end up with a marriage penalty where they actually pay more in taxes. Couples in which one member has significantly less earnings than the other are more likely to have a marriage bonus, while those in which earnings are split relatively equally between wife and husband are more likely to suffer a marriage penalty. For tax purposes your marital status on the last day of the year determines whether you are considered married for the whole year. The filing status you select will determine which tax table to use. Married people for the most part must choose between married filing jointly and married filing separately. The majority of married couples choose to file jointly. This status offers certain benefits and often results in the lowest combined tax. You can file this way even if only one of you has an income. When filing jointly you combine both of your incomes, exemptions, and deductions on the same tax return. Both signers of a joint return are liable for the entire tax due including any penalties and interest. In some instances a couple can save money by filing separately. This may be the case if one of them has a large amount of business, investment, or medical expenses to deduct. Another reason for using this method is if one member wants to limit their exposure to their spouse's tax liability, or if their spouse owes money to the IRS from previous tax years. When filing separately, each member of a couple must report only his or her own income, exemptions, and deductions individually on his or her tax return. Note: In the community property states: AZ, CA, ID, LA, NV, NM, TX, WA, and WI, the general rule is that each spouse must report one-half of the combined community income if filing separately. This is because all earnings of a couple while they are married are considered "joint". To determine which filing status is better for you, you can compute your new tax liability using both joint and separate filing methods and compare the results. Adjusting your withholding allowances when you get married will allow you to arrive at the end of the year with the right amount of income tax paid. If you decide to stay with the same allowances you may end up owing or being owed a larger amount than you desire. The Federal W-4 form is used to report allowances that determine the amount of federal income tax that is withheld by your employer for each pay period. Keep in mind that the W-4 does not play a roll in determining your annual tax; it only determines how much tax is withheld from each paycheck. Optimally, a couple will have enough tax withheld from their wages to meet or slightly exceed their tax liability for the year. Note: The following is for couples that plan to file jointly. If you plan on filing separate returns you will each need to refigure your tax liability individually using the married filing separately status and readjust your own withholding allowances accordingly. Since you are probably getting married sometime during the middle of the tax year, you should recalculate your estimated tax liability for the year as a couple using the joint filing status. You can then adjust your withholding allowances and submit new W-4s to increase or decrease the amount of tax withheld from your remaining wages in order to meet your new tax liability. If it looks like you are going to owe money to the IRS, you can elect to have more tax withheld from your wages by reporting fewer allowances on line 5 or by specifying an additional amount to be withheld on line 6. If you expect to be owed a large amount, you can elect to have less tax withheld from each paycheck by increasing your allowances. To determine your new estimated joint tax liability and find out how much to adjust your allowances you can use a withholding calculator from the IRS or other tax website or seek the services of an accountant. You should again review your withholding allowances at the beginning of the new tax year (January 1st) and submit new W-4s if necessary. If you and your spouse are both employed make sure that you do not claim the same allowances with different employers. In other words, don’t use the same allowance more than once. For instance you can claim yourself as an allowance on your own W-4, or your husband can claim you as an allowance on his, but not both. An IRS general rule of thumb for a couple filing jointly is that your withholding will usually be most accurate when all of the couple’s allowances are claimed on the W-4 for the highest paying job and zero allowances are claimed for all other jobs. A good way to determine your allowances is to use a withholding calculator from the IRS website or other tax service. These generally offer better fine-tuned results and are less confusing than the worksheets that come with the W-4. Many states also have a form similar to the Federal W-4 that’s used for state income tax withholding purposes. If your state has this form you should consider submitting an updated one because if you rely on your Federal W-4 for state withholding your state personal income tax may be under withheld. Whenever you submit a new Federal W-4 or state income tax withholding form to your employer you should check to see that the correct amount of tax is subsequently being withheld from your wages. After submitting your new allowances, compare the dollar amounts that are being withheld from your paychecks with your estimated tax liability. Tip: When filing your federal income tax return it's important that the name on your tax return matches the name the Social Security Administration has on file for you. If the W-2 form you get from your employer has your former name on it you can still use it -just cross out your former name and write in your new married name.